Manchester City took one giant step towards Champions League football next season, with a fifth minute goal against Swansea getting them off to a flying start. Local rivals Manchester United looked set to leapfrog City into fourth spot, but their collapse against West Ham opened the door for Manuel Pellegrini’s side once again and put their fate in their own hands. They don’t look likely to return the favour though, taking an early lead against the Swans and dominating the game right from the off. 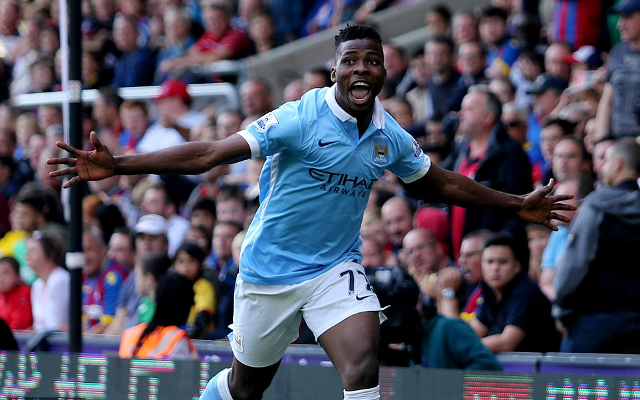 Kelechi Iheanacho got the goal, pouncing on the rebound after a Sergio Aguero shot. There were calls for offside which looked likely to be given, but after a few moments of indecision from the referee and the linesman the goal eventually stood. City continued to press and went in search of a second, certainly looking the more likely to score the second goal. Their performance won’t be filling Manchester United fans with confidence, with the Red Devils needing to win against Bournemouth to even stand a chance of finishing fourth, and even then needing a hand from Swansea. Normally games are played simultaneously on the last day, but Man United’s game with Bournemouth has been abandoned after an incident at Old Trafford (via IBT). By the time Louis van Gaal’s team plays they could be already out of the Champions League, with City showing no signs of slowing down against Swansea.